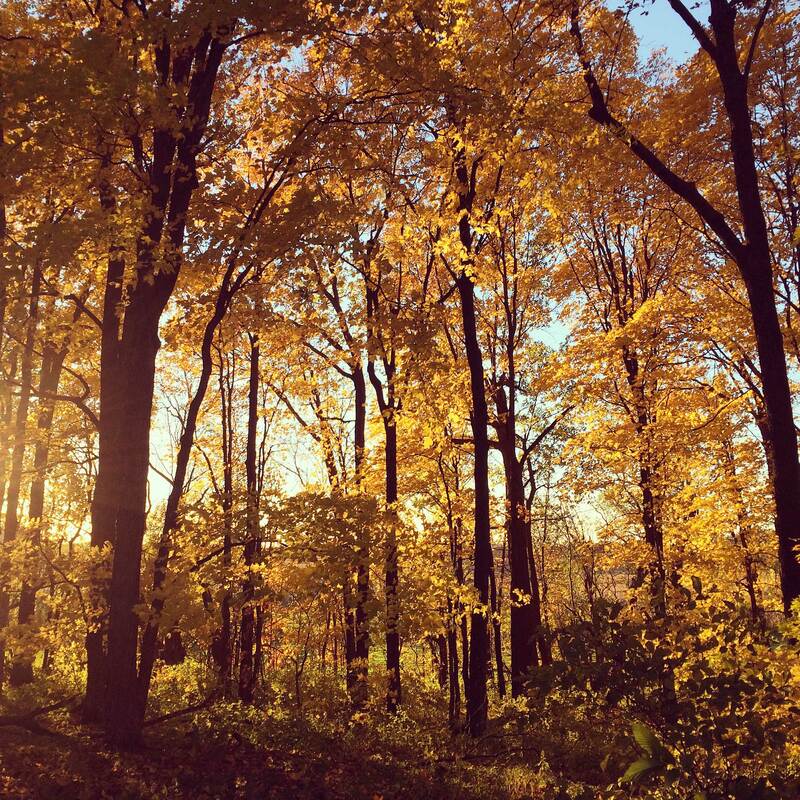 Although the weather has turned cooler the past few days, the month of October has been a series of one lovely fall day after another here in Minnesota. The temperatures were above normal, the sun was almost always shining, and the fall colors seemed more vibrant than usual. Like many, the weather drew me outdoors and I often found myself reaching for my phone to capture some of the beauty just outside my front door. All the photos below were taken with my iPhone 5s and edited in Instagram. This first photo was taken in the evening and features a small border garden along our granary with Sedum and ornamental grasses. All of the red hues captured my eye. Outside in the garden one morning, I stopped to take a picture after noticing the rays of sunshine highlighting the yellow maple, contrasted with the still-blooming shrub roses and Russian sage in my garden. The barn in the background was the perfect backdrop. The lovely morning sunlight caught my eye once again a week or so later, as it lit up the Autumn Blaze Maple outside my bedroom window. And finally, this picture is from the woods that surround our home, spilling down the hillside to the river and to our field. In the evening, as the sun would start to set, the warm light would shine through the yellow canopy of leaves and the scene felt so magical. For about a week, I made sure to step outside each evening to take in the spectacle of light. All of those April showers finally brought me some May flowers! 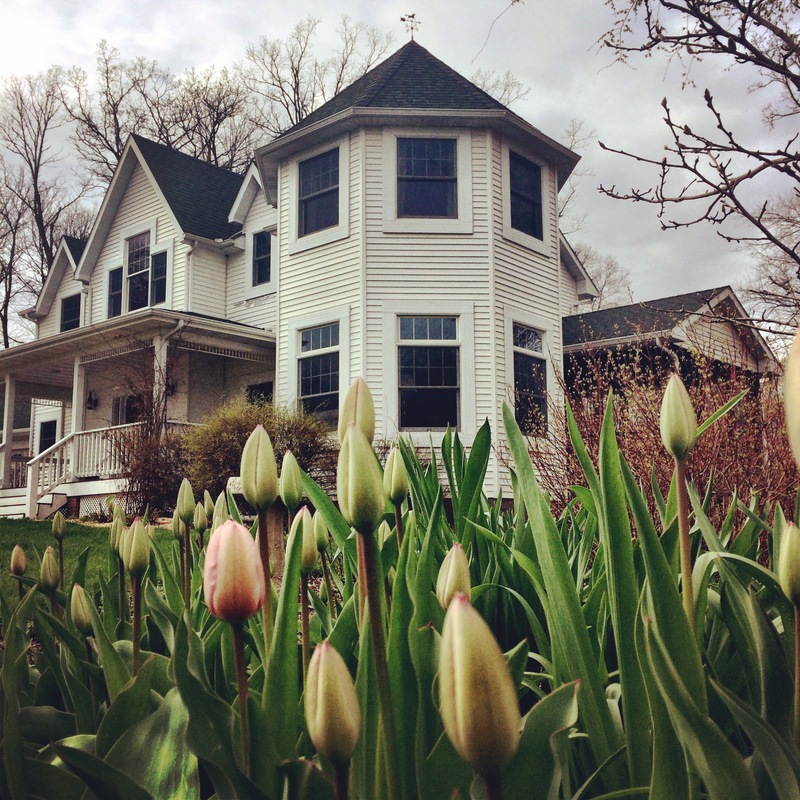 The tulips are in their full glory now and I absolutely adore them. What a beautiful way to kick off the gardening season. Wherever you live, I hope your spring days are brimming with color too! 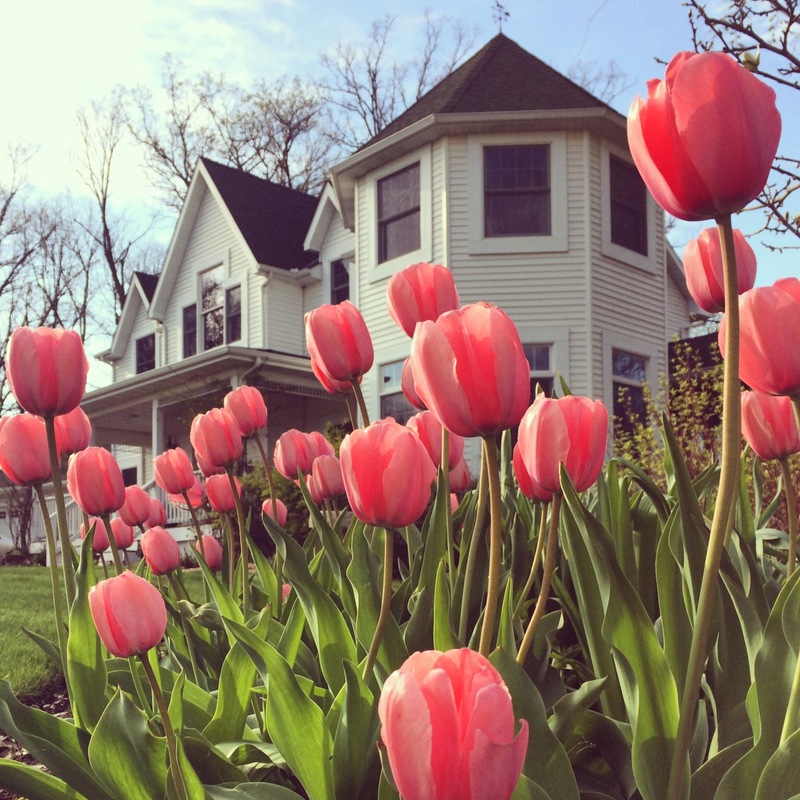 Despite the continuing cold temperatures, spring has sprung around here and my tulips are ready to delight me with color. It is just the start of the spring flower show and I could not be more ready. I just snapped this picture with my iPhone 5s as I was strolling around the yard this evening, all bundled up. Temperatures were only in the high 40’s today. Things are looking up for the weekend though. I hope you are enjoying some spring color in your neck of the woods! This weekend was not exactly balmy, but it was warm enough to continue melting the snow. What a difference a week makes during spring in Minnesota! It was only 9 days ago when we were dumped on and school was canceled because of all the snow. (See my last post). Besides a few random piles here and there, all the snow is now gone. Hooray! (It is Minnesota though and more snow over the next month is a definite possibility). Last weekend our vegetable garden had a foot of snow covering it. Today? No snow in sight and the rhubarb is even peeking out of the soggy soil. 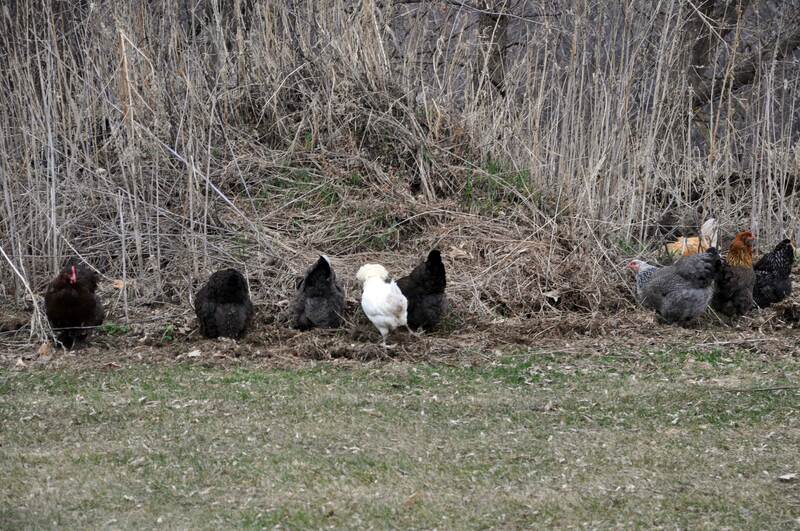 The chickens were finally able to escape the coop and do some free-ranging after a long winter. They headed for a dirt pile that we have and got busy scratching and doing whatever it is that chickens do. 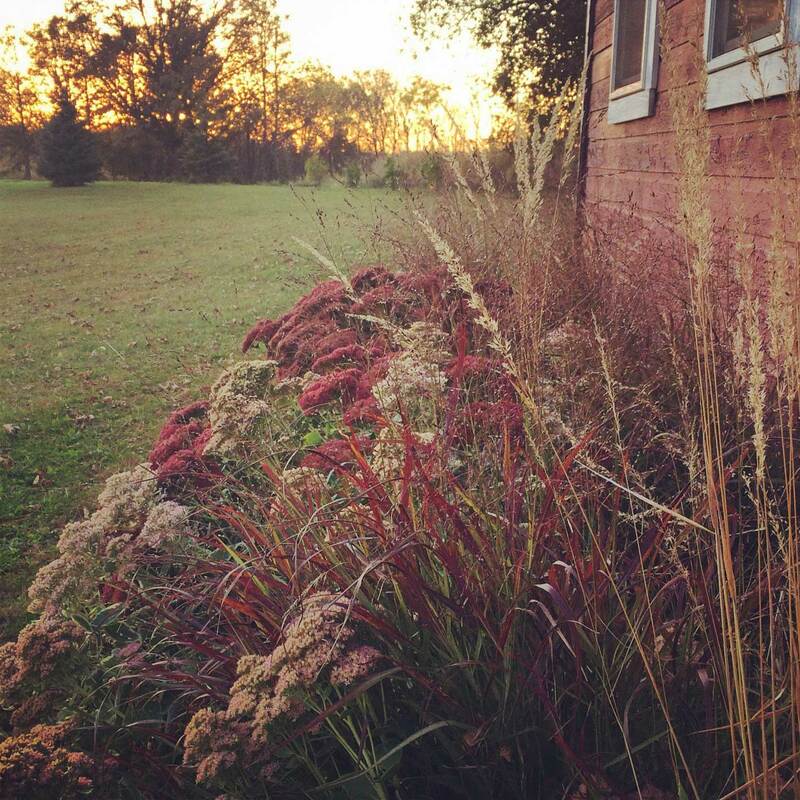 …And the ornamental grass, Sedum, coneflower, and miniature Joe Pye weed along the granary. Jesse helped me clean up our raised beds with strawberries and blueberries. 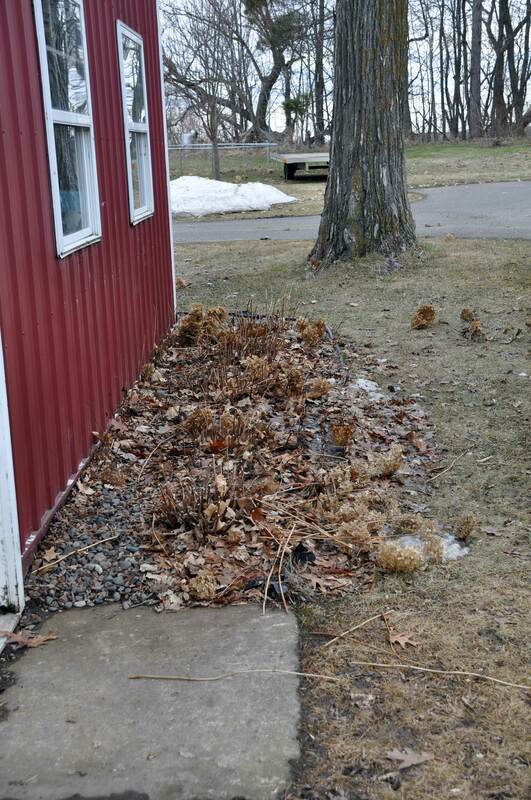 We raked out the dead leaves, pulled some random weeds, and raked up some pine needles to freshen up the mulch. This will be our third season with the blueberry plants and we are hoping that some of the big bushes finally produce a good amount of fruit. 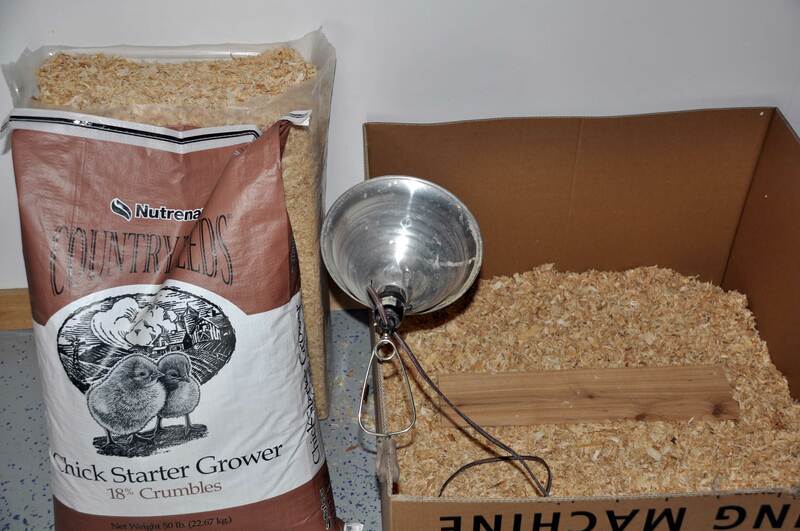 We also found time to prepare for our baby chicks that are due to arrive some time at the end of next week. They will be inside the house in this box for the first five days so that we can keep an eye on them and make sure to keep them warm and drinking water. Jesse also cleaned out the brood boxes for his beehives and they are all ready for the new bees. We are not exactly sure when to expect them, but likely at the end of April. Fall has definitely arrived here in Minnesota and as usual, I am way behind in drafting posts about what has gone on around here. I have taken hundreds of photos over the summer, but putting those photos into a post takes time…something I always seem to be lacking. 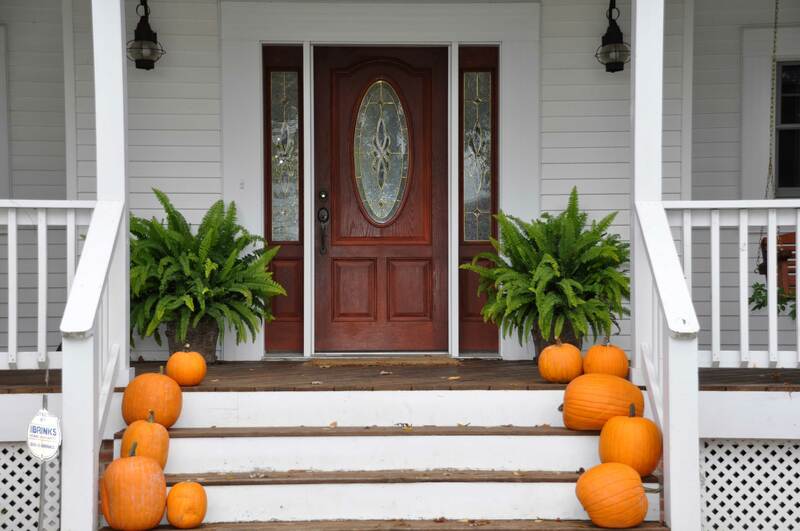 I took this photo of our front porch today. We harvested our pumpkins a few weeks ago and have kept them in the barn until yesterday. With a cool and rainy day upon us, we decided it was time to bring them out and display them on our front steps. The bright orange sure livens up the entrance to our house! We have decided to take a year off from growing pumpkins and squash after a nasty infestation of squash bugs for the second year in a row. (You can read more about squash bugs here). If you have not dealt with these buggers in your garden, be happy. They are disgusting and we just do not want to deal with them next year again. 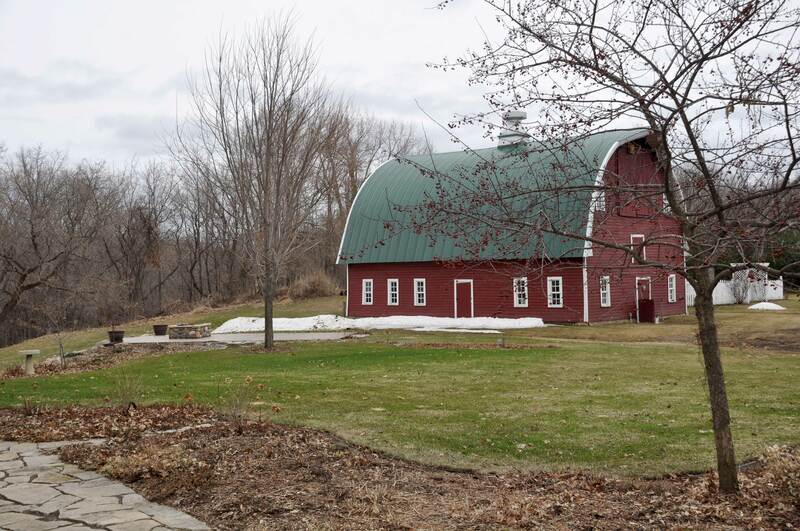 We are hoping the absence of their favorite feeding ground for a year will break the cycle and we can resume growing pumpkins and squash without battling those bugs all summer long. We took a year off from growing potatoes after repeated infestations with potato bugs and it seemed to work. Being cautious, we planted a small row of potatoes this year and enjoyed a potato bug-free season! On the bright side, we did manage to battle through the squash bugs and grow some pumpkins before they totally destroyed the vines. Our squash crop however, was a total loss. My ferns on the porch are continuing to thrive in this cooler weather. I hate the thought of them being killed off by the frost. I may try to bring them inside and see how long I can stretch out their life into the fall and winter. 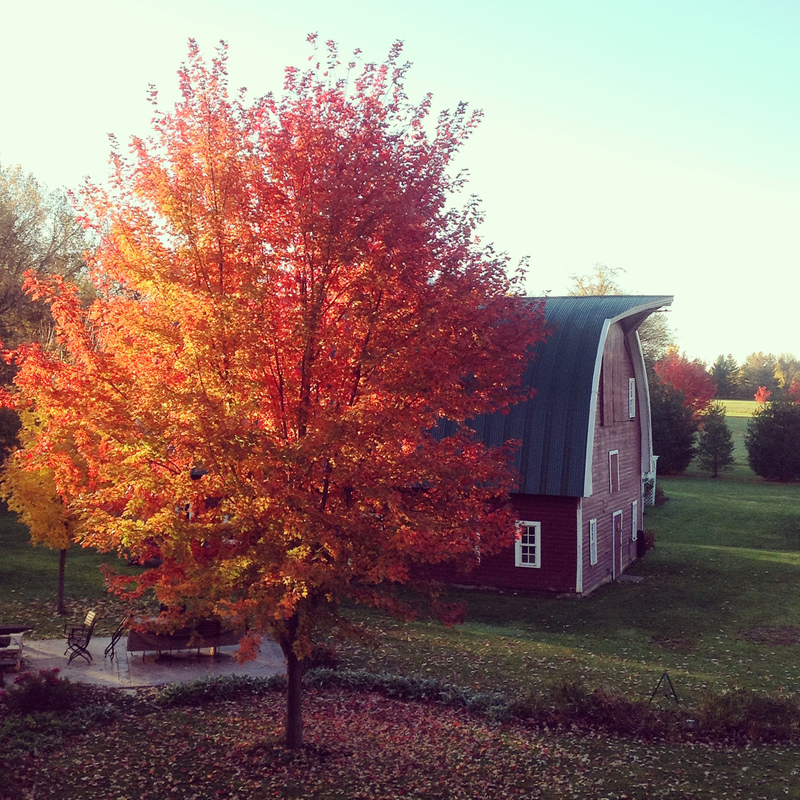 I hope you are enjoying the fresh air and bright colors of fall in your part of the country. Summer is going way too fast. I am having a hard time keeping up with the gardens, let alone finding the time to write blog posts. As I have mentioned before however, I still grab my camera often and snap pictures outside…usually in the evening after supper. My climbing roses were absolutely stunning this year. 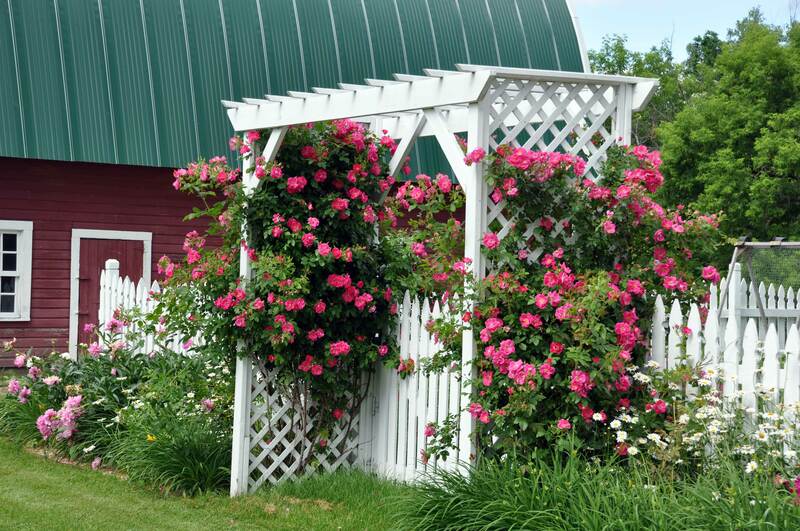 I have four William Baffin climbing roses: two climbing up the porch and two on an arbor by the vegetable garden. I planted these two roses by the porch the summer after we completed constructing our home, in 2001. They are 12 years old and still going strong. They are zone 2 or 3, depending on what you read, and are a perfect match for our frigid Minnesota winters. The plants were so loaded down with buds this year that the branches were drooping under their weight. I absolutely love the color of these pink beauties and the blooms just keep unfolding over a couple of weeks. Even after the initial heavy blooming period there are still scattered flowers to enjoy all summer long. In the spirit of full disclosure, these climbing roses do not come without a fair amount of work. 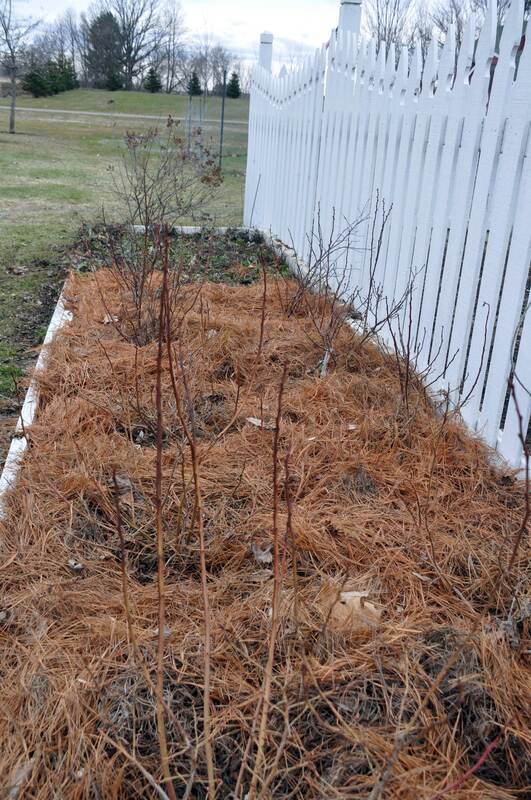 I battle the thorny growth each spring to thin it out, cut out dead canes, and to tie it up and keep it focused. I usually have to deal with it at least one other time during the summer to continually train the new canes to grow in the right direction. From my porch I can look out and see more climbing roses by the vegetable garden. I planted these roses later than the porch ones, some time after we built the fence. They are finally getting close to the top of the arbor. I am hoping they eventually will reach over the top. If you are looking for a prolific climbing rose, give the William Baffin rose a try. You will not regret it! Almost every day I pick up my camera and go outside to take a picture of something that is blooming around here. It is hard to keep up with posting the pictures because after all, it is summer and who wants to be inside and in front of the computer? Last week I snapped these photos of my many peonies. I have moved these plants from house to house as we moved through the years. I could never bear the thought of leaving them behind. This collection is out in my front yard. The only peony that I have actually purchased is this white one. Although it is pretty, it just does not have the same strong fragrance as the old-fashioned pink ones that I have transplanted and taken with me all these years. I do love the white flowers mixed in with all the other varieties though. I picked a huge bouquet of these beauties one afternoon to bring in the house to enjoy. I love to bury my nose into the flowers and inhale deeply. What a magnificent smell! It turns out it was a good thing that I did pick some flowers that afternoon because we had a big rain and wind storm the following evening that really did a number on the peony plants, pounding and shredding the big blossoms that had already opened. 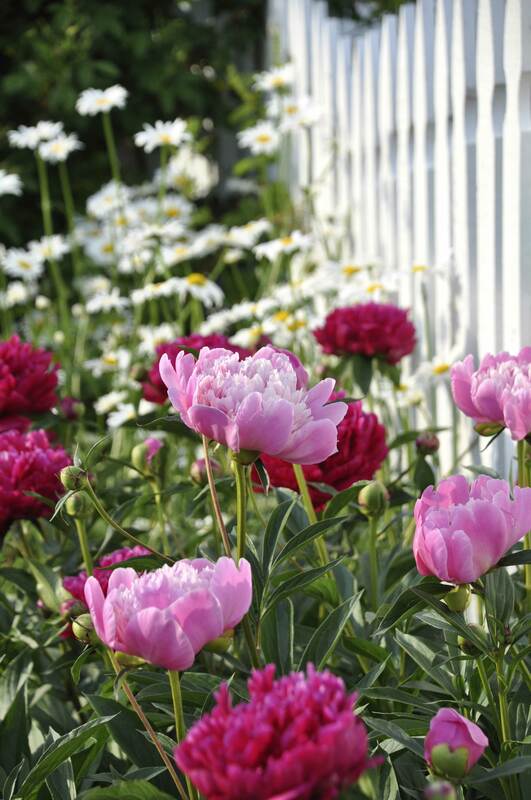 In addition to the large grouping out in the front yard, I also have peonies planted along the picket fence surrounding the vegetable garden. These plants are from my first division of the peonies…maybe about six years ago? All of my peony plants are overdue for another division. They do seem perfectly happy however, so I am in no big hurry to create the extra work for myself. 🙂 I still have some peonies blooming, although they are starting to wind down now. The heat and humidity of the last few days definitely hinder the longevity of the blossoms. I have never taken the time to identify the variety of peonies that I have. Any ideas?